Paul Root Wolpe, PhD, Director of the Emory Center for Ethics, the Asa Griggs Candler Professor of Bioethics, and the Raymond F. Schinazi Distinguished Research Chair in Jewish Bioethics at Emory. 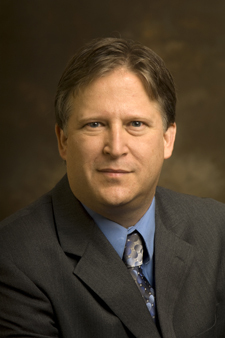 Paul Root Wolpe, PhD, director of the Emory Center for Ethics, has been appointed to the National Research Council's Committee on Responsible Science. This committee has the significant task of revising and preparing a second edition of the 1992 report, Responsible Science: Ensuring the Integrity of the Research Process. The original Responsible Science report established definitions and standards that underlie many current policies and practices in scientific research in the U.S., including the Office of Science and Technology Policy's adoption in 2000 of its definition of research misconduct as "fabrication, falsification, and plagiarism." The report has served as the standard reference for determining scientific misconduct. The committee will determine whether this definition of research misconduct should be broadened to include questionable research practices and research impropriety and whether unwritten practices should be expressed as formal principles to guide the responsible conduct of research. Members of the new committee were appointed by the National Research Council and by the Policy and Global Affairs Division of the National Academies. Robert M. Nerem, PhD, Institute Professor and Parker H. Petit Professor Emeritus at the Georgia Institute of Technology, Institute for Bioengineering and Bioscience, is chair of the committee. "It is an honor to be asked to serve on this committee, especially this year, when we are revising the Responsible Science report. Given the rapidly changing nature of information technology, and the visibility of some recent cases of scientific misconduct, it is crucially important to establish firm standards for the integrity of the scientific process," says Wolpe, who also is the Asa Griggs Candler Professor of Bioethics and the Raymond F. Schinazi Distinguished Research Chair in Jewish Bioethics at Emory. The committee will address key questions regarding impacts on research integrity, including modern research practices and technologies such as image enhancement, the Internet, and data storage systems; globalization and increased collaboration among researchers in the U.S. and internationally; handling of materials and specimens; university oversight, IRBs and the treatment of intellectual property; and the demands of government regulation. Government agencies, research institutions, universities and journals all have roles in promoting responsible research practices, and the committee will review recent experiences and help evaluate and redefine appropriate responsibilities for each sector. The committee also will help determine the extent to which the research community itself can educate its own members and define and strengthen basic standards for scientists and their institutions.